It is a common day in the lives of millions of people; they get up and start with the routine of the week. They have breakfast, they get ready to go to school or work and how do they go? A minority goes walking and a few uses the subway. But the reality is that millions of people in the world use cars, motorcycles, passenger trucks and the ones that are eco-friendly, choose a bicycle. However, all of them have something in common: the use of tires. Living in California makes practically impossible to reach a place without using tires in the process. The problem is that the same happens in thousands of cities in the world, so tire production increases along with the population, without adequate planning or infrastructure for recycling. In addition, all this happens in a world where most people simply do not care where the tires end. And all those tires are becoming a latent problem for the population, but a real problem for a minority who want to change this. A car accident, a flat tire, an old car, trucks with old tires and the list goes on; thousands and thousands of tires discarded and replaced by new ones begin to flood our planet, creating infinite deposits of discarded tires with no use other than waiting for the time to pass, becoming a latent danger for communities near these deposits, diseases and a threat to the environment. As the year’s passes, these deposits grow and grow making it increasingly difficult to get rid of so much garbage, creating social and government problems because they do not know what to do with so many abandoned rubbers. Different companies play their role in educating the customers as to how their actions when combined together can play a big role in protecting the environment. Air pollution, waste disposal, water pollution, global warming and other environmental problems are affecting this planet and we need to do something now to reduce it. The waste of the tires is without consideration, while their manufacture is the opposite. Creating a tire involves research and costs. Producing a tire needs crude oil and various components such as natural rubber, synthetic rubber, metal and textile cables and chemical agents; so for its disappearance generates toxic products. The problem lies in the great production of tires and in the lack of interest to carry out a correct recycling. An abandoned tire takes more than a thousand years to disappear, imagine, how many more tires there will be in five, ten or twenty years. It will be an impossible task if we do not start from today with a culture of recycling tires to take advantage of them and can reused them in its totality. Every day there is a different campaign on the internet to help the environment, it is a big step, but it is not enough. After seeing thousands of campaigns, signing to join the cause, what change did we make? Nothing, the problem is still there, the entire world is aware of the problem, everyone wants to change it but there is no one to step forward and say, “I can change it”. Seeing how deposits began to grow, environmental problems, non-recycling culture, among others; began a concern to see that everything remained the same. How could we really help the environment? How can we get rid of all the rubber that exists in the world? Is there any use that can be given to tire waste? How could you create a recycling culture? These were some of the questions that the founders of Globarket tire recycling faced; so they decided to do something, they investigated and discovered that California produces 44 million reusable and waste tires each year. 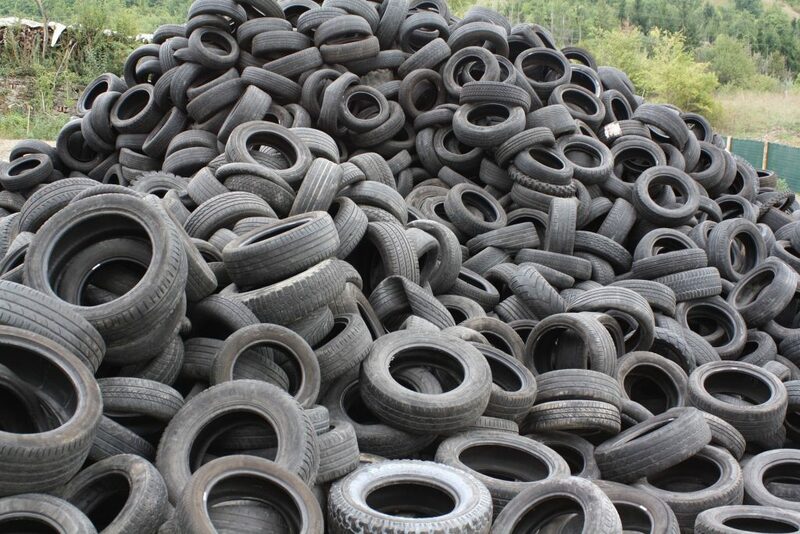 CalRecycle estimates that there are fewer than 25,000 waste tires in stockpiles only in California. Knowing this numbers make Globarket founders decided that it was time to create a genuine change in the world and they created a company that did actions that can help reduce that impact to the world, such as tire pick up services in California; diverting waste tires from the landfill to their facility and recycle them. Tires can’t be burned outdoors because they cause toxic fumes causing more environmental pollution and damage to people. For this reason, recycling is the only option available. Currently there is no culture of tire recycling, there are still tires that end in these deposits or incinerated in ovens to finish in the same outdoor stockpiles. Our Company has trucks, trailers and people that give tire pick up services in California. The purpose is to go and pick up scrap tires from any tire dealer. The tire collection we offer is in all the California state. To accomplish a change, we begin by attending the state of California, but our vision goes further. In the coming years we want to be national leaders in recycling rubber products. The technology to recycle rubber is increasing; however, the percentage of tires available for recycling is still small. For this reason and to increase the possibilities of recycling tires, globarket offers tire pick up services in California to tire dealers. Our tire collection is a service of excellent quality and reasonable price, since you can get rid of your tire waste quickly and efficiently with the certainty that our trucks and staff will do all the work. For more information about this service call us (001) 760 599 3841 or send an email to hello@globarkettire.com and we will gladly assist you.